Sage tea may sound familiar if you cook with various spices and use sage as a kitchen staple. 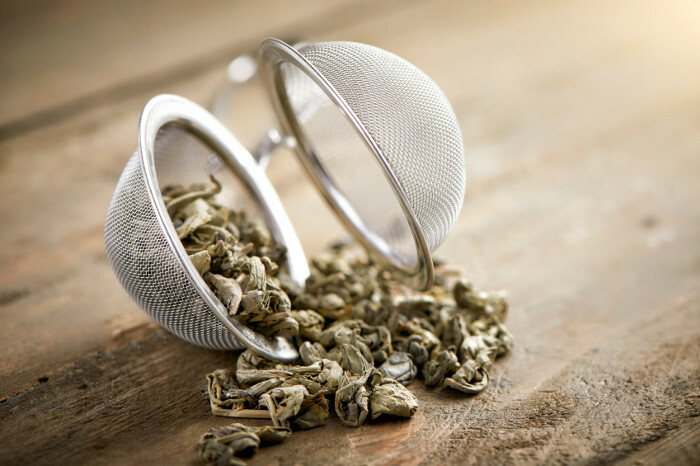 Sage is much more than a flavorful spice and a warm cup of sage tea has many health benefits from improving memory, reducing excess perspiration and improving diabetes. Sage is a popular herb that has grayish-green, lance-shaped leaves with distinctive veins. The leaves are covered in a silvery bloom. Sage is native to countries surrounding the Mediterranean Sea and its scientific name is Salvia officinalis. In Latin, sage translates into “to be saved”. Sage does have healthy, saving benefits and is easily added into a dietary plan. Sage is in the same mint family as rosemary and is shown to have been one of the longest-used herbs for health benefits particularly in those in the Mediterranean region such as Italy and Greece. Sage contains flavonoids such as apigenin, diosmetin and luteolin along with phenolic acids such as rosmarinic acid. Sage tea is a delicious way to add to your health and improve your quality of life. In the evening, a warm cup of team can calm your nerves and help you melt away the stress of the day. When you are feeling under-the-weather, turn to a cup of sage tea to soothe your throat, reduce your fever and quiet your cough. What Does Sage Tea Taste Like? Sage tea comes from the sage herb which is part of the mint family. The sweet, delicate taste of sage will not interfere with your tastes if you are drinking the tea with meals, although in-between meals is typically a better time to enjoy the tea. Some people find the taste bitter and will combine sage with other teas or other ingredients to mask the bitter taste. You can combine sage tea with other teas to mask the taste or boost the benefits. For instance, Antioxidant Properties of Spices, Herbs and Other Sources, suggests combing sage with echinacea to alleviate sore throats. Adding ginseng or lemon balm to your sage tea may enhance the brain-boosting powers of the tea. Since sage is from the mint family, combining it with peppermint tea may help to give you energy. To increase the anti-anxiety, combine sage tea with lavender for a delightful evening beverage. regulating hormones and menstrual irregularities since it contains estrogen which may reduce hot-flashes in menopausal women, according to the book Antioxidant Properties of Spices, Herbs and Other Sources by Denys J. Charles. Due to the estrogen-properties, sage should not be consumed by pregnant or lactating mothers. Sage tea is easily added to your day, contains high amounts of Vitamin K, is shown to have few allergies and is best enjoyed from fresh leaves. Sage grows in the warm climate of the Mediterranean. It contains high quantities of rosmarinic acid, which is quickly absorbed and used by the body as an anti-inflammatory. It alters the molecular structure of leukotriene B4, which signals inflammation. Rosmarinic acid also acts as an antioxidant which helps to boost immunity, fight infections and prevent diseases associated with oxidative stress. Sage tea contains many flavonoids such as apigenin, diosmetin, and luteolin which also enhance its antioxidant qualities. These help boost liver antioxidant status and support a healthy immune system. The green leaves of sage contain PPAR y agonistic, pancreatic lipase which help to reduce the absorption of lipids. This quality may help to reduce a high blood lipid profile. The anti-microbial properties of sage are compliments of carnosol, carnosic acid, oleanic acid, ursolic acid, uvaol, betulin and betulinic acid. Are There Any Side Effects from Sage Tea? 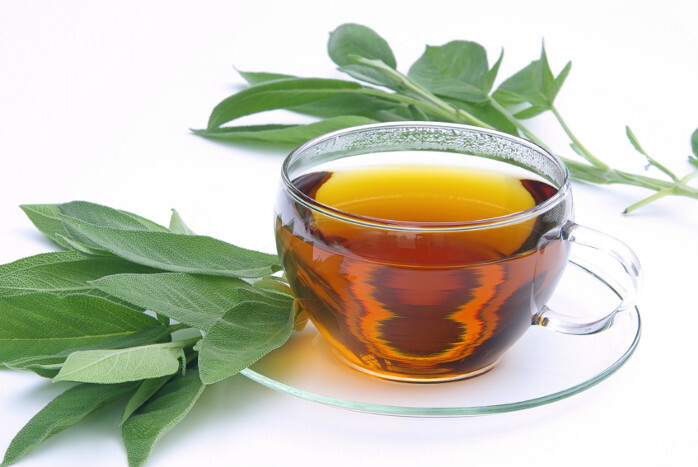 Sage tea is a natural remedy that does not show many adverse effects. Look for the typical allergic reactions such as rashes, itching and difficulty breathing. If you experience any of those, stop drinking the tea and contact a medical professional. Some people should use caution when drinking sage tea and others should avoid it altogether. Women who are pregnant or nursing should not consume sage as its astringent qualities can cause dry mouth, plus the estrogen capacities of sage may interfere with a mother’s hormones. The root of sage contains compounds similar to those in medications that fight Alzheimer’s. These compounds, according to The World’s Healthiest Foods, are acetylcholinesterase (AChE) inhibitors. Dosage and How to Make Sage Tea? Your recipe for sage tea will depend on your tastes. Try to use the freshest herbs and add between a pinch and 1 teaspoon to a tea bag or tea ball. Steep the sage in 1 cup of boiling water for 10 to 15 minutes. Let the tea cool and enjoy. Combine sage tea with lavender, honey, lemon, sugar or peppermint to your taste. Where to Buy Sage Tea? You can purchase pre-made sage tea or the dried herbs from a variety of health food stores. You can also grow your own herbs, dry the leaves and crush them into pieces for brewing your own tea. Sage tea is the type of beverage from which most people can benefit. It is useful periodically when you are coughing or feverish. It is also useful on a regular basis if you suffer from high blood sugar, high cholesterol or high blood lipid levels. Always check with your physician before beginning any natural remedy. The natural, health-boosting properties of sage tea are safe for most everyone. The compounds in the tea improve immunity, reduce inflammation and help control blood sugar. It’s simple taste is not overwhelming and can be enjoyed by every palette. Your leftover tea can be used as a face astringent. Use a cotton ball and dap the tea onto blemishes. Or, use the leftover tea to rinse your hair to help remove chemical build-up. You can also gargle with the cooled tea to help reduce a sore throat or to help eliminate canker sores.